The right words, conveyed through universal themes and relatable experiences, can have a profound impact on readers and affect our perception of the world we live in. Josh Scheinert discovered this for himself as he struggled to convey a message he felt compelled to share- that of international LGBTQ rights. Josh grew up in Toronto and graduated from Osgoode Hall Law School. After graduating, he spent a year teaching international and human rights law in Gambia. There, he noticed the contrasts between his life in Toronto, where he was free to live openly and express his identity, in comparison to Gambia, where he remained in the closet because of Gambia’s homophobic laws and culture. After spending the year living closeted in Gambia, Josh returned to Toronto wanting to help educate others on the persecutory measures taken by the Gambian government towards LGBTQ people. Josh began writing on the subject but found that academic research and op-eds weren’t getting to the essence of his concern with the matter: the human element of it all. Educating through the telling of a story solved that problem. 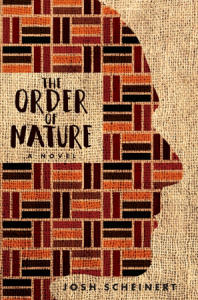 The Order of Nature tells a story of forbidden love between two males in Gambia, where there is a law that imprisons people who identify as LGBTQ for up to 14 years. 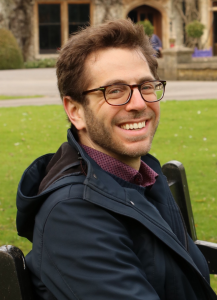 Josh Scheinert grew up in Toronto and graduated from Osgoode Hall Law School. After graduating, he spent a year teaching international and human rights law in Gambia. He wrote The Order of Nature in response to the homophobic and hostile treatment of LGBTQ people there, and it has already sold several hundred copies. Josh is currently a Senior Associate at Borden Ladner Gervais, practicing international investment and trade law. The Order of Nature is available in local bookstores and online with Amazon.